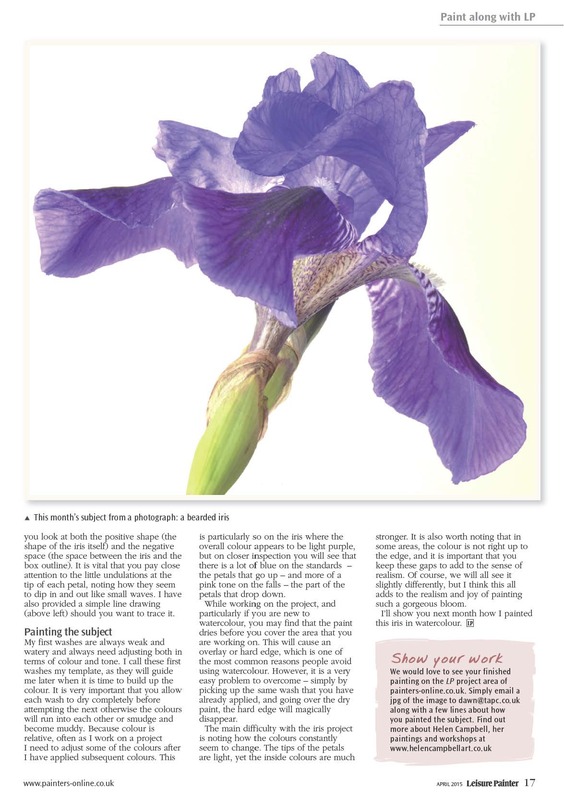 Get ready for spring as Helen Campbell introduces the subject of this month’s painting project from a photograph – a stunning bearded iris. 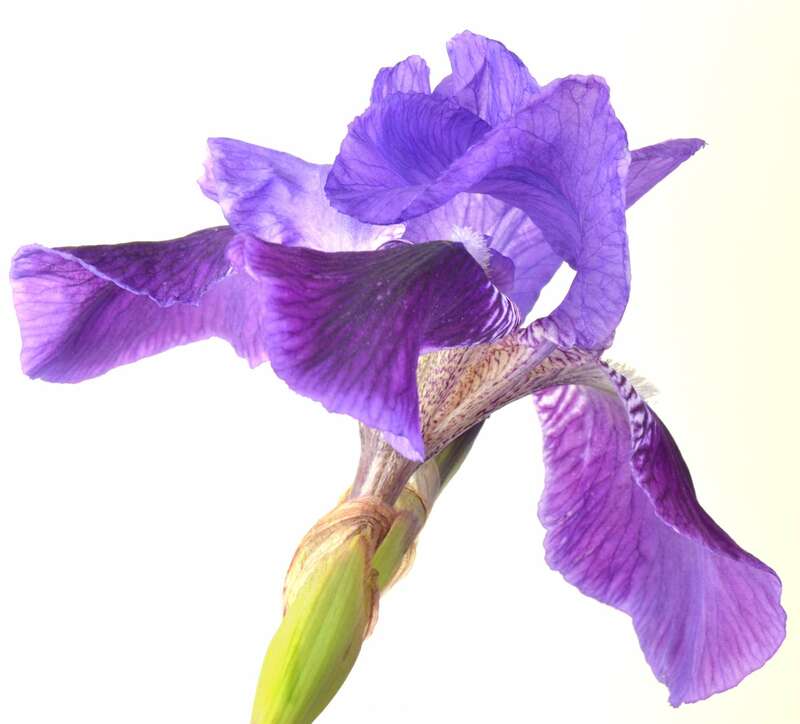 Botanical art is becoming increasingly popular, yet so many artists still feel nervous about trying it for themselves. It is a pity, given the wonderful array of flowers and fruit that we have growing in abundance around us. With so many plants to choose from, it is a shame that we are put off so easily. Perhaps this is due to the complexity of the plants themselves, or because watercolour can be difficult to work with. I aim to take the mystery out of it here, making it a relaxing, enjoyable process that is relatively easy to follow. I adore this gorgeous, blousy iris that I found growing in my garden last year. The desire to paint it was just too hard to resist! It seems to be translucent, posing in the natural daylight, showing off its wonderful shape and form. It also has a real contemporary feel to it, which brings it bang up-to-date. Once I had an idea of how I wanted my composition to look, I began by taking a series of reference photographs with a digital camera, making sure that I recorded all of the various elements of the bloom should I need to refer to them when completing the painting. In this instance I photographed the iris just as I saw it growing in my garden. It was the perfect subject, as it seemed to assist with composition, giving me its natural pose. Click the link here or at the top of the page to download the full PDF tutorial. 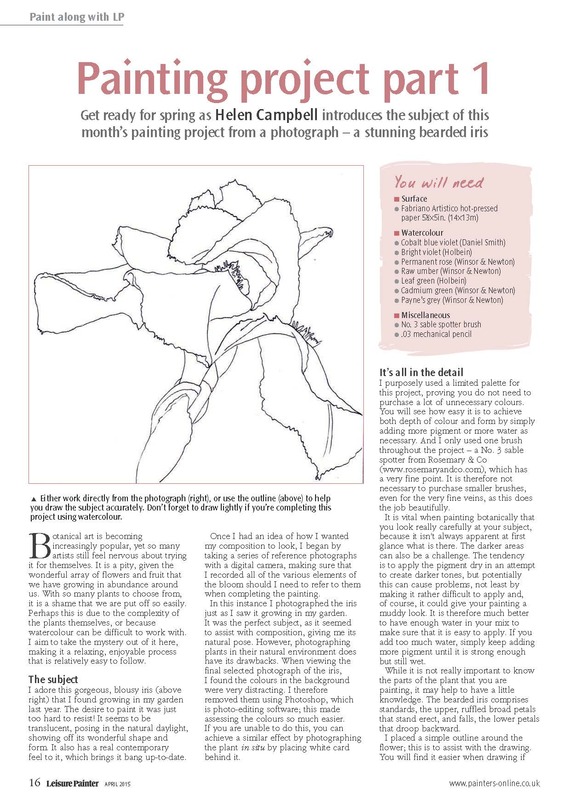 This tutorial was featured in the April 2015 edition of Leisure Painter Magazine.